HG Stevens has for many years been a professional photographer resident in the south of England. In the period 1963 to 1972 he took a very large number of action photographs of professional wrestling. These photographs were taken, for the most part, in Brighton, Croydon and London. They represent the definitive collection of photographs of the sport during the period when it was at its peak. The period now referred to as ?The Golden Age? of British professional wrestling. Because the photographs were only taken in the south of England it records the activities of men who wrestled in the south in this period. The collection therefore is relatively weak in regard to those wrestlers whose careers were concentrated in the north of England. It should be remembered that many of the wrestlers in those days were ?part timers? and often they held regular working jobs which limited their ability to wrestle in all parts of the country. The photographer was not allowed to use flash in any of these photos. The results are an amazing record of the sport during this period. They reflect a very high level of photographic skill in the light of the circumstances in and under which the photographs were taken. The quality does, of course, vary?as it would, given the exigencies of the lighting available and the speed of the action in the ring. From the purely artistic point of view many of the photographs are brilliant. The original negatives are now a minimum of 37 years old and a maximum of 46 years old. They have now all been digitally copied in as large a format as possible so that future editing can be maximized in its effectiveness. The original negatives therefore will not be used again but will be preserved for posterity. The Medium Format negatives were professionally copied and the 35mm negatives were copied using a Nikon Super Coolscan 5000ED. There were a total of 5986 negatives copied. The job of copying the negatives took 119 days at an average of four hours per day. The editing took a similar period of time. The programmes used for editing were ArcSoft Photoimpression 6 and HP Photosmart Premier. There are over 5000 edited photos. Not every one of the original photos has been edited. The collection exhibited here represents those wrestlers of whom there is a collection of photos which might appeal to the modern taste. 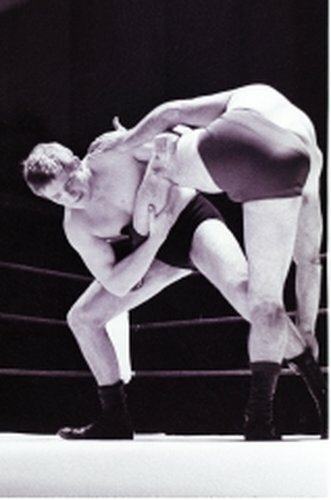 There are many wrestlers who were active and popular in the 1960?s whose photos would not be popular now. They include many who were ?stars? in those long ago days. I have no doubt that aficionados of the sport in Britain at that time might disagree with the choices made by the editor. The fact is that the effort of first of all digitally copying all those negatives and the subsequent effort of editing has been very hard and demanding work. 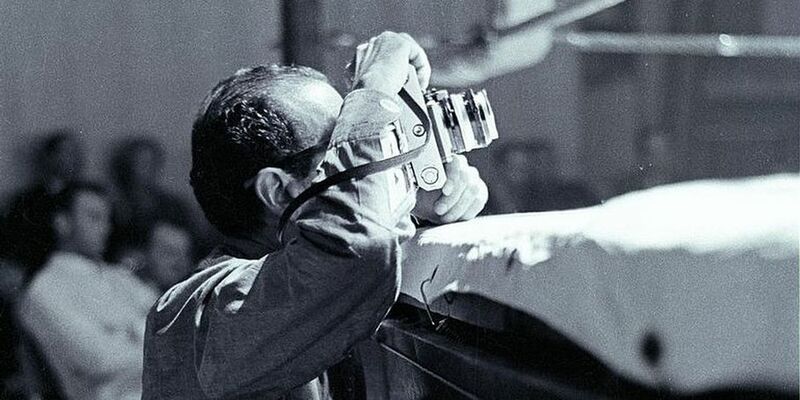 That especially applies to editing where there were great challenges posed by photos whose subject was very attractive but where the negative, for one reason or another was not in very good shape. The results are, by definition, mixed. Some of the edits have turned out brilliantly; others are the best that the editor could do. The editor does hope that purchasers of some of these photographs will be able to do a far better job on some of them than he has been able to achieve. Purchased photographs will be in a large format. For example a photograph of a full 35mm negative will be some 3940 X 5960 pixels/ 9.44MB. So editing something that sort of size ought to bring the purchaser some sort of satisfaction. Most of the images are in TIF format as that was the format which offered more depth of image. There are some in JPEG format. In regard to the wrestling action reflected in the photos: there is little doubt that in toto the collection conveys the excitement created by and the public interest in the sport during this period. It also provides an insight into the action which took place in the ring. Many of the wrestling bouts were hugely exciting and many of the wrestlers had powerful presences in the ring and they did provide a great deal of good entertainment over periods which, in many cases, stretched over periods of many years.